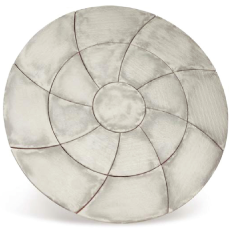 The catherine wheel comes complete in two colours, each with a blend of two shades – Weathered Slate and Autumn Brown. 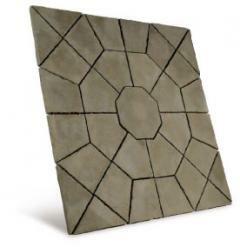 Corner infil sets, available seperately, will transform the circle into a square patio. Diligently reproduced and ideal as a stunning stand-alone piece or integrated into any paved area. Stratford Octagon Patio Pac is available in Antique Grey to complement the Stratford Mews paving range. 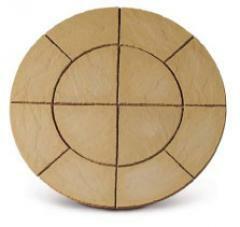 As with all our Patio Pacs, all the pieces you need to create the design are included. Available in two warming colours and three variations, the new Chalice Circle offers you great flexibilty when designing your outdoor space. The larger 2.7x2.7m kit comes complete with a single border of Chalice paving and will instantly transform your garden. The 1.5m circle is compact enough for the smaller garden and provides a striking feature when used on its own or in pairs. Our Lakeland Star Patio Pac feature striking, contemporary designs that will bring the ‘wow’ factor to your garden. 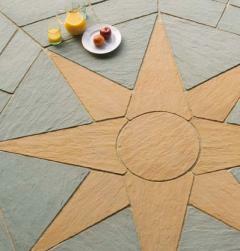 Lakeland Star come complete in a mix of two colours, Cumbrian Slate and Gold. North Star features the N, S, E & W compass points on the points of the star. Alternative Star replaces the gold 'brick edging' with paving in cumbrian slate. Two contrasting colours are set in this beautiful garden feature, providing a dazzling effect in the sunlight. 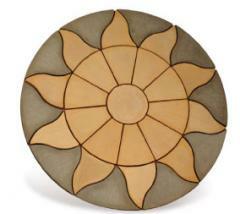 The Aurora Circle is based on the design of our popular and larger Sun Circle. At just 1.8m diameter, the Aurora is a compact feature perfect for those with smaller outdoor spaces. Square offs are now also available. Created in a mix of two striking colours, Antique Grey and Barley.